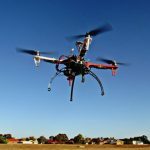 The Customs and Border Protection agency has announced plans to evaluate the use of small unmanned aircraft systems in three border patrol sectors as part of a program to help agents conduct intelligence, surveillance and reconnaissance, tracking and acquisition missions. CBP said Thursday it will test-fly the Puma, Raven and InstantEye Quadcopter UAS platforms in Tucson, Arizona; Rio Grande Valley in Texas; and Swanton, Vermont. The agency expects the three sUAS models to provide sensory and visual data to border patrol agents on the ground as well as support military, surveillance and force protection missions during the tests. Carla Provost, acting chief of USBP, said the agency seeks to help train border patrol law enforcement personnel on illicit activity identification and interception activities across the U.S. border. “These aircraft will enable Border Patrol agents to surveil remote areas not easily accessible by other means,” added Provost.